Years ago I found a pile of books on the street in a box. I t had just begun to rain, but the books that I took home were in perfect shape. It were all great books, some of which I would have bought when I had to pay the full price for them, if I only had known they existed. 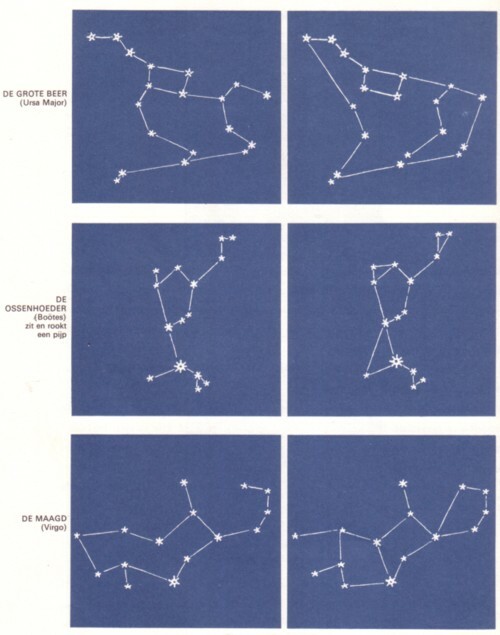 The best book was a Dutch edition of ”The stars, a new way to see them” by H.A. Rey. This book was first published in 1975, but I had never heard of it when I found this copy in 2000. That is strange, because H.A.Rey has solved one of the biggest mysteries that existed. The Zodiac is the eldest human idea that we know of. Estimations of how old the concept is vary, but it is much older than anything that we have found or know from the past. The strange thing is that the names for the star signs never have changed: we still use the same names for the star signs as they had from the very beginning. This is very remarkable. The names of kings and countries have changed so often over time, that it often occurred that a lost city was already found, but under another name. Or that two different kings turned out to be one and the same person. It is a complete mystery how the names of the Zodiac signs have stayed the same over such an enormous period and in so many different and separate cultures, with complete different languages. 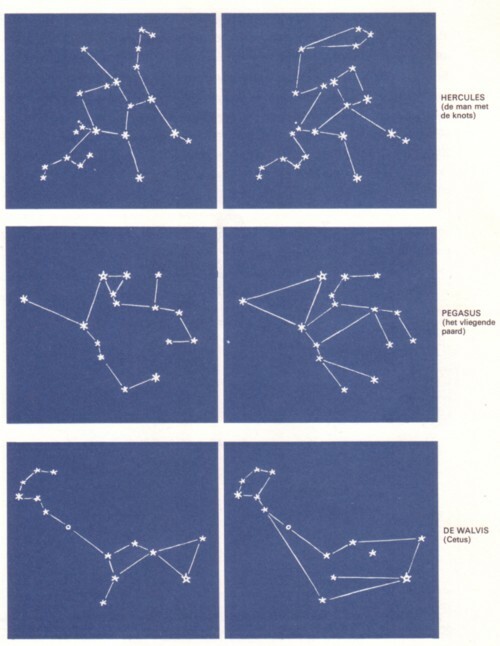 Especially because the names of the signs had no relation to the shape of the star constellations themselves. The people who first created the names for the Zodiac signs must have known this. It is unthinkable that H.A. Rey just has a lucky hand of connecting these stars. Some drawings that he came up with are so easily to recognise, that it is a miracle that millions of people have overlooked this for so many centuries. It should make us wonder how much else we might be overlooking. On this site you read and see more of the work of H.A. Rey. 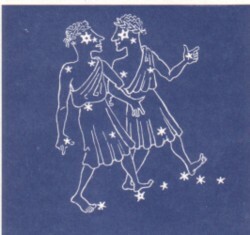 Also strange is that in many publications on stars signs the new drawings by H.A. Rey are still not being used. Graham Hancock once said that ”we are a species with amnesia” , but we are a species in a coma! Here is guy solving one of the greatest riddles of all time, and there is barely paid attention to his work.